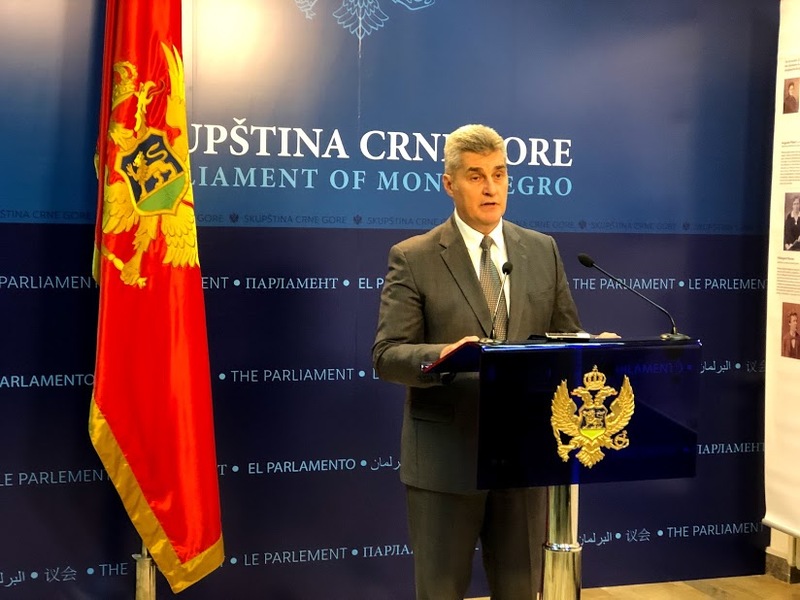 Podgorica, (MINA) – The Parliament is trying to find the best solution for overcoming the current situation, while acting within its constitutional powers, Parliament Speaker Ivan Brajovic has stated. “Our regular consultations are aimed at clarifying and overcoming without relevant state institutions a complicated political and legal situation,” Brajovic said in a press statement. He underlined that all parliamentary groups are taking active part in the consultations, regardless of differences in views and political agendas. “I emphasise that as representatives of the citizens we have a great responsibility to act wisely in the Parliament and to weigh our words carefully. We expect the same for all individuals and institutions outside the Parliament,” Brajovic noted. “We have continued with the organization of protests and the extra-institutional work of the DF,” Mandic said. He added that a big protest has been scheduled for Sunday evening where protesters will be wearing yellow vests.